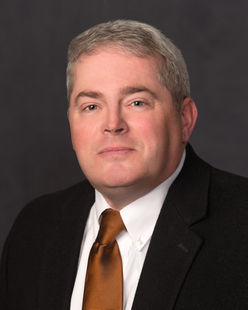 Paul C. Collins is a Partner in the firm’s Billings office. He graduated from Davidson College in 1988 and from Wake Forest Law School, with honors, in 1993. Paul was a member of the Wake Forest Law Review. Before coming to the Crowley Fleck firm in 2002, he practiced for 9 years with the Rodey Law Firm in Albuquerque, New Mexico, in a wide range of civil litigation. He has tried medical malpractice, legal malpractice, property damage, estate, food contamination, insurance bad faith, and construction cases in state and federal court and has handled a wide variety of other matters including employment disputes (representing employers), groundwater contamination, personal injury defense, and commercial disputes. Paul has a particular interest in pro bono matters and has succeeded in district court and before the Montana Supreme Court in extending non-parent parental rights to cover step-parents.